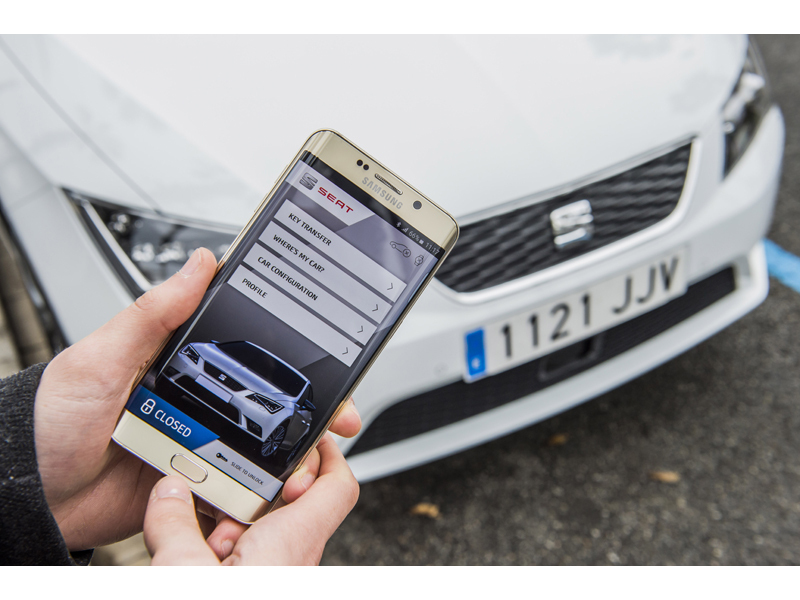 Barcelona - SEAT, Samsung Electronics and SAP SE have created a technological alliance to develop future projects for the connected car. At the 11th edition of Mobile World Congress (MWC), scheduled to begin next Monday in Barcelona, the three companies will showcase cutting-edge concepts developed by pooling their innovation and industry-leading expertise. "Samsung's partnership with SEAT and SAP signals our commitment to developing innovative solutions for the next level of the connected car", said Dr. Injong Rhee, Executive Vice-President and Head of R&amp;D, Software and Services, Mobile Communications Business at Samsung. "Samsung is focused on bridging the gap between the consumer electronics and automotive industry by bringing the latest cuttin-edge mobile technology to the driving experience". According to SEAT Executive Committee President Luca de Meo, "For SEAT, connectivity is a key factor. This technological alliance with SAMSUNG and SAP strengthen SEAT's aim of becoming a reference in the field of connectivity, and above all, of allying with the best partners to implement new mobility ecosystems business". "Delivering a scalable and global Internet of Things solution for the urban parking challenge requires collaboration from market innovators such as SEAT, Samsung and SAP", said Bernd Leukert, member of the Executive Board of SAP SE, Products &amp; Innovation. "By leveraging standard integration through SAP Vehicles Network (SVN) and SAP HANA Cloud Platform for the Internet of Things, SEAT has access to a global parking inventory of connected 'on-street' and 'off-street' parking, whereby user can secure payments via Samsung Pay and enjoy more seamless integration with numerous parking backend systems. Together, we are working to enable a simple urban parking user experience while laying the foundation for additional vehicle centric services". SEAT, Samsung and SAP developed concepts to be always connected!